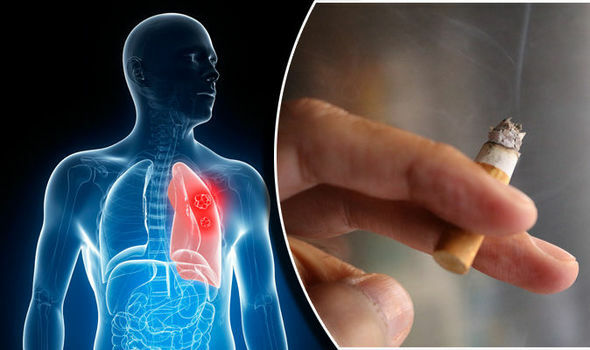 The latest rising figures of new cancer cases by the the International Agency for Research on Cancer (IARC) on Wednesday spotlight the link between tobacco usage and the disease that continues to kill millions of people worldwide. According to the figures, lung cancer, variously associated with tobacco use, ranks as the leading type of cancer worldwide in terms of the number of new cases. The global cancer burden is estimated to have risen to 18.1 million new cases and 9.6 million deaths in 2018. One in 5 men and one in 6 women worldwide develop cancer during their lifetime, and one in 8 men and one in 11 women die from the disease. However, Dr Freddie Bray, Head of the Section of Cancer Surveillance at IARC said the numbers could be different given that the tobacco epidemic is at different stages in different regions and in men and women. “The results however highlight the need to continue to put in place targeted and effective tobacco control policies in every country of the world”, he said. An analysis of these results, published today in CA: A Cancer Journal for Clinicians, highlights the large geographical diversity in cancer occurrence and the variations in the magnitude and profile of the disease between and within world regions. Worldwide, the total number of people who are alive within 5 years of a cancer diagnosis, called the 5-year prevalence, is estimated to be 43.8 million. Colorectal cancer (1.8 million cases, 10.2% of the total) is the third most commonly diagnosed cancer, prostate cancer is the fourth (1.3 million cases, 7.1%), and stomach cancer is the fifth (1.0 million cases, 5.7%). In men, lung cancer ranks first and prostate cancer second in incidence in both developed and developing countries. In women, incidence rates for breast cancer far exceed those for other cancers in both developed and developing countries, followed by colorectal cancer in developed countries and cervical cancer in developing countries. Lung cancer is the most commonly diagnosed cancer in men (14.5% of the total cases in men and 8.4% in women) and the leading cause of cancer death in men (22.0%, i.e. about one in 5 of all cancer deaths). In men, this is followed by prostate cancer (13.5%) and colorectal cancer (10.9%) for incidence and liver cancer (10.2%) and stomach cancer (9.5%) for mortality. Breast cancer is the most commonly diagnosed cancer in women (24.2%, i.e. about one in 4 of all new cancer cases diagnosed in women worldwide are breast cancer), and the cancer is the most common in 154 of the 185 countries included in GLOBOCAN 2018. Breast cancer is also the leading cause of cancer death in women (15.0%), followed by lung cancer (13.8%) and colorectal cancer (9.5%), which are also the third and second most common types of cancer, respectively; cervical cancer ranks fourth for both incidence (6.6%) and mortality (7.5%).